Implementing the Center for Internet Security Benchmark for iOS. 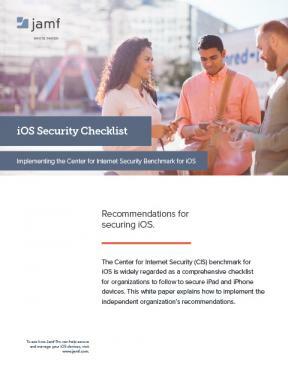 Download now to take a monumental step towards better iOS security. What about Mac? Here are the CIS recommendations for macOS.